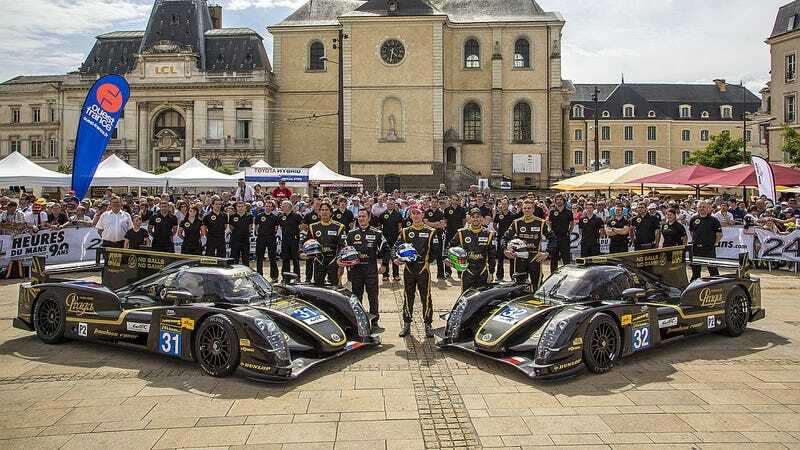 Lotus' Le Mans LMP2 program just got some of their suspension pieces, steering wheels, and other components seized by a court over alleged financial issues. Auto Hebdo reports that the seizure came from a local court and Speed stated the cause was "allegedly not having met its financial commitments to an undisclosed partner." A flatbed trailer showed up at the LMP2 team's garage this evening, and the German-run Lotus team dismantled their cars and loaded up the seized parts. The two T128 chassis remain in the garage, and Lotus is expected to make a full statement in the morning.